Jean-Eric Verge won the sixth round of the 2018/2019 ABB FIA Formula E Championship in China. With his win in the Sanya ePrix, the Frenchman ended its three-race-long winless streak. 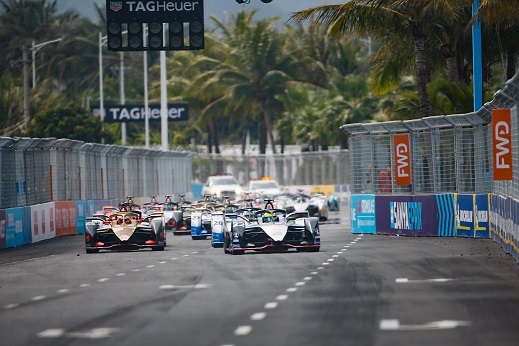 Nissan eDams' driver Oliver Rowland clinched the first starting position for the inaugural Sanya ePrix, securing his first ever Formula E pole position. The Briton made a good getaway at the start, but he was unable to run away from the chasing pack. The testing 2.2km-long Sanya circuit brought tears for the pre-race championship leader, Sam Bird. After a coming together with HWA's Stoffel Vandoorne just minutes after the start, the Englishman was forced to retire from the race, preventing him from adding any points to his tally. With 21 minutes left on the clock, Vergne made a sensational move on Turn 11 to go into the lead, sending Rowland down to second. As the leading group formed a frighteningly close pack, Alex Sims clipped the wall while battling. The rear of his BMW suffered serious damage which left him stranded on the track. The Safety Car was deployed to rescue the Briton's car. Running in the sixth place, Lucas di Grassi was taken out of the race in the dying minutes of the ePrix after Frijns drove into the back of the Brazilian's Audi with a wild move. The race finished under full course yellow. As Vergne too the chequered flag, the FIA also confirmed that the Frenchman would only receive a reprimand for the safety car infingement. 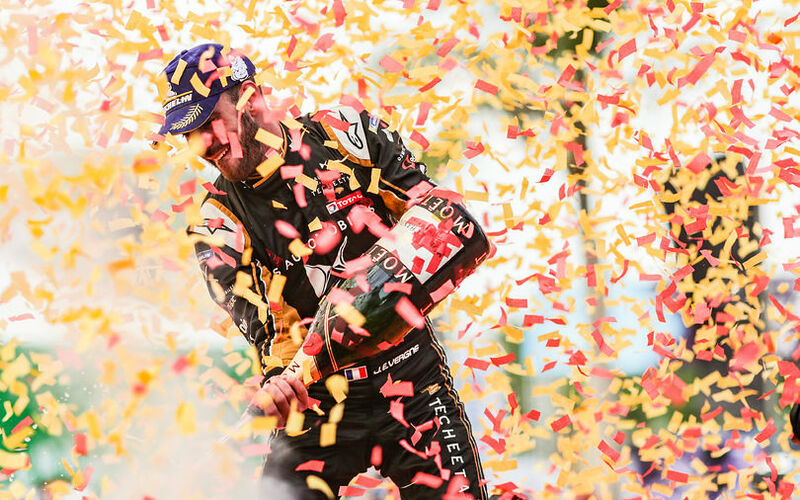 The reigning champion Vergne did not score any points at the previous three rounds of the championship, meaning that his title aspirations were at a crossroads before the field descended in mainland China. However, with his victory, he managed to jump into the third spot in the standing with only eight points adrift the leader. The Frenchman also collected the point for the fastest race lap. With the issues of Sam Bird and Lucas di Grassi, the championship is even more open than it was before. BMW i Andretti Motorsport's Antonio Felix da Costa climed to the top of the championship standings. Jerome d'Ambrosio, Jean-Eric Vergne, Sam Bird, Lucas di Grassi and Edoardo Mortara are also within ten points of the championship lead with seven rounds until the end of the season. Your 60 second race highlights from the 2019 FWD Sanya E-Prix! ⚡️#ABBFormulaE pic.twitter.com/PMYqKUkz4n &mdash; ABB Formula E (@FIAFormulaE) 2019. március 23.